***Our rates are per room, per night and are room only unless otherwise specified*** The Best Western Guide Post is one of Bradford's finest hotels. With superb facilities, convenient location and very high standards of service, our hotel is the ideal choice for both business and leisure visitors. The hotel is situated two miles from the M62. Close to both Bradford & Leeds 41 individually designed en-suite bedrooms including deluxe rooms and suites. Fully licensed restaurant, offering first class English and Continental cuisine. 2 fully air conditioned meeting rooms ideal for conferences. Attractive venue for a party or wedding. 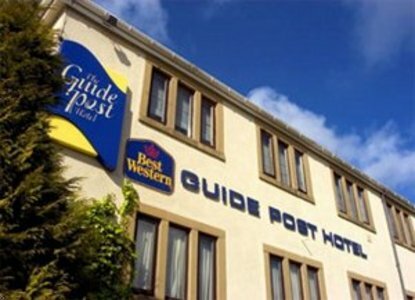 The hotel has disabled access and facilities We will do our utmost to ensure your stay at the Best Western Guide Post Hotel, Bradford is fulfilling and enjoyable Contact us now to arrange your stay, whether it be a holiday, business event, wedding or other special occasion.